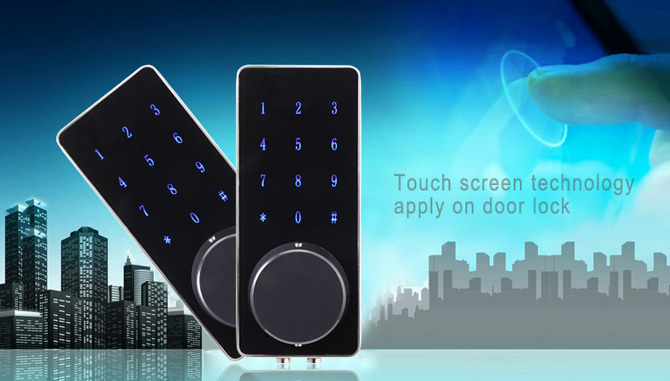 ● Up to 30 metres remote distance. 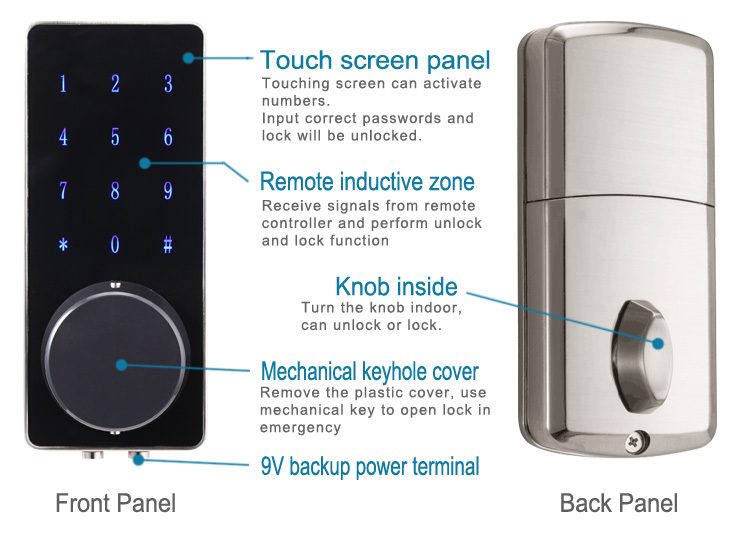 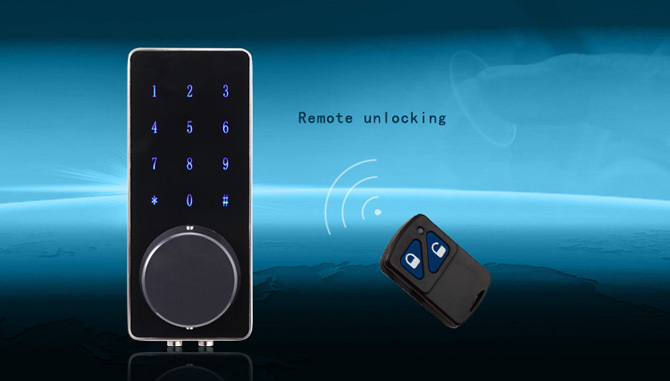 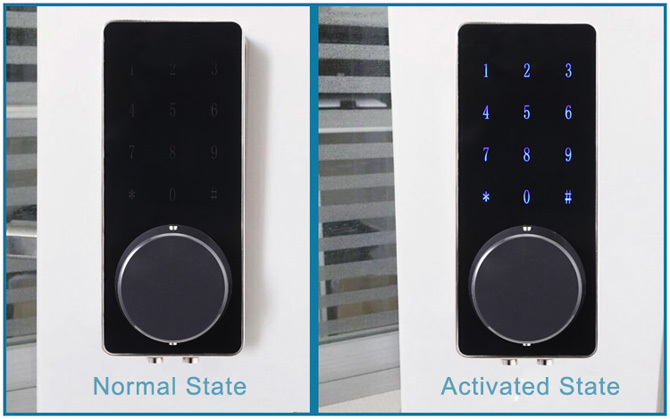 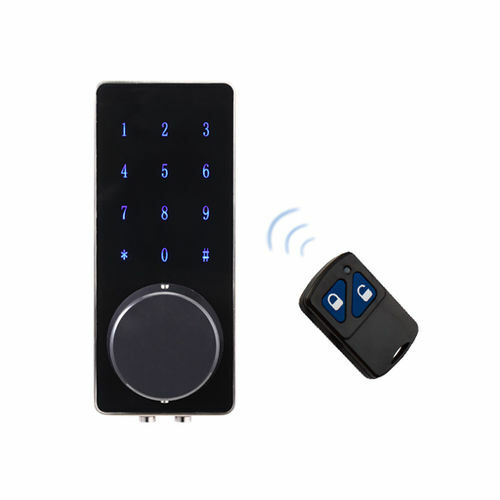 ● Three unlocking ways:Touch screen code,remote control,mechanical key. 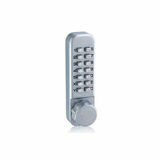 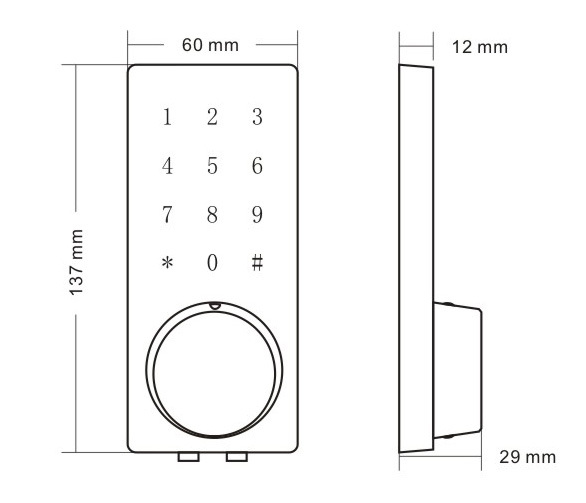 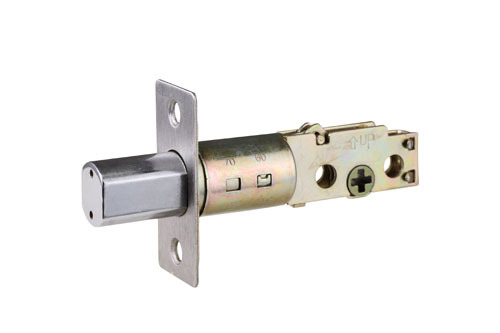 ● Standard deadbolt latch can be installed in hole of standard single latch. 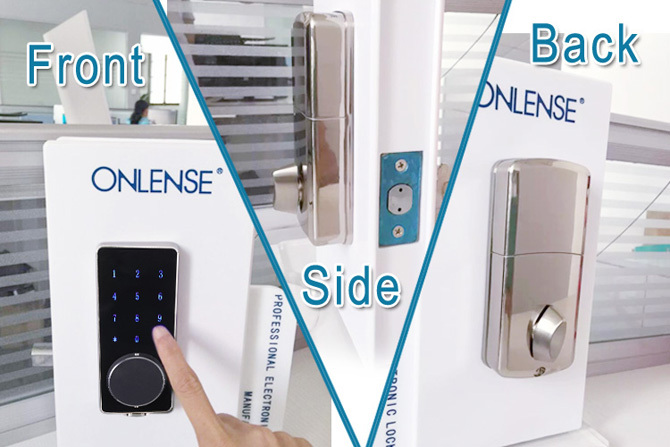 ● Anti-peeking function to prevent codes being observed while being entered. 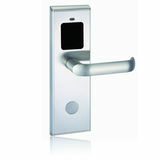 ● 20 users capacity ,can add more if needed.